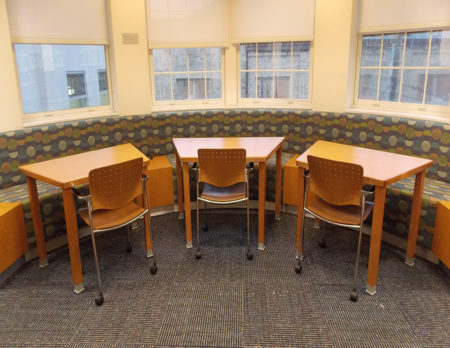 Thanks to The Friends of the Larchmont Public Library, we now have tables in our Fiction Area on the upper floor. The tables make an already comfortable sitting area even more comfortable AND they make the space far more functional. You can now work, use your laptop, study, in addition to just relaxing. If you would like information on how you can become a member of the Friends of the Larchmont Public Library, visit them online.